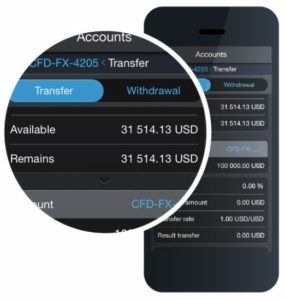 Protrader is an innovative trading platform for everybody. Whether you are a beginner or professional; an active scalper or passive investor Protrader can be tailored to suit your needs. Balancing the latest in trading functionality with customised user interface Protrader stands out as a leading trading platform. Protrader is available as a desktop, web and mobile application. Protrader for desktop is an all-in-one trading application that is fast and fully customisable. 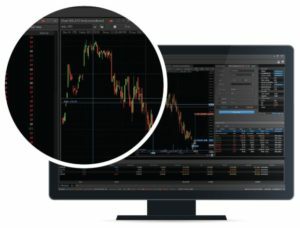 Possessing the full range of trading features Protrader for desktop meets the needs of advanced traders and professionals including visual trading (trading from charts) and one-click trading. For the asset managers there is the Fund Management and Multi-account Manager (MAM) tool. For those who are more interested in the technical side of trading, Protrader for desktop includes AlgoStudio for full cycle development of algorithmic strategies. 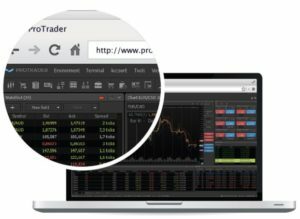 Protrader for web is made for traders who need the flexibility to trade remotely from any web browser. Just like Protrader for desktop, the web application is fully customisable and carries the vast majority of trading tools. It is light, fast and works on any operating system via a web browser. Protrader for mobile is not only a way to monitor your positions while on the go. Protrader provides charting, watch lists, alerts, technical analysis, position management, order execution and much more via its mobile application. The mobile apps are native applications for Android and iOS devices.